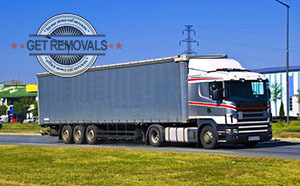 In general, removal company aka moving company aka removalists aka man and van or van hire are all examples of businesses or companies which help individuals or other businesses relocate their home or office from A to B. Ancient records and archives depicting and describing transferring goods from one place to another have been found in Egypt, China and Turkey. This shows that the removal company (as a rudimentary concept of course) dates back thousands of years. However, the moving industry in the way people know it today did not appear until many centuries later. It is believed that the modern removal industry began in the United States, most likely at the start of the nineteenth century when the majority of the great North American railways were under construction. The start of the nineteenth century also saw the introduction of the first ever specialised removal vehicle – the covered horse cart. A bit later on, the invention and implementation of the internal combustion engine forever revolutionised the removal industry. The advent of engineering meant that horse carts were no longer in use as trucks were the new weapon of choice for removal companies. Trucks were much more powerful than the strongest horse so they carried more loads over longer distances which meant better removal services and more profit for removal companies. The removal industry itself is actually one of the drives behind the rapid and successful development and improvement of trucks altogether (obviously, trucks were also used for military purposes). Around the same time, in the UK there was a new key feature of the removals industry being developed – storage facilities. Specialised warehouses were first used by banks at the start of the nineteenth century so high class clients or investors could store their belongings safely while being away from home. It took a long time before storage came to the US – the first storage houses began operating in the southern states during the nineteen sixties. The modern removal industry has grown huge and powerful, the logistics and technology that go into some removals these days just are mindboggling. In the UK alone, it is estimated that eight million people use some sort of removal of man and van service. Currently the UK’s domestic removal industry is worth just shy of two billion pounds. In the last few years, domestic removals are outnumbered by international relocations. In the UK, first government imposed rules and regulations over freight trucking (and subsequently the removals industry) were implemented strictly after the start of the twentieth century. The new regulations actually stimulated the industry through creating more competition and within two years of their implementation there were forty national removal companies registered. Since then the removals industry in the UK has been growing at a steady pace (which also meant there was enough business to go around thus higher quality removal services for customers), and now there are over ten thousand officially registered removal companies in Great Britain.